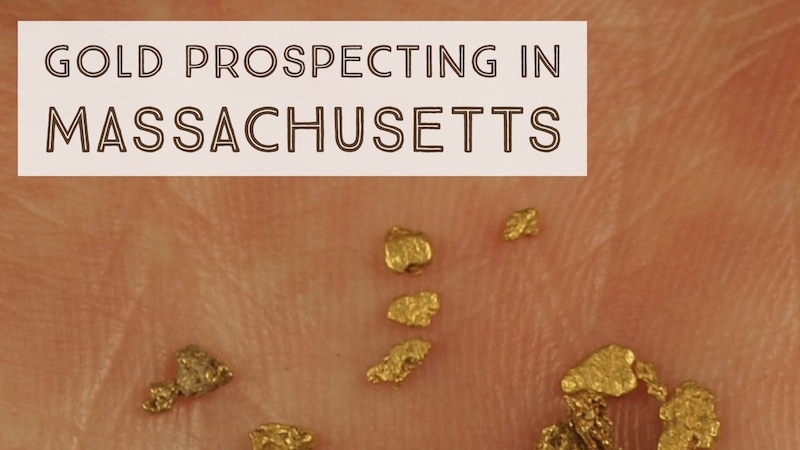 Gold is found in Massachusetts primarily in the western part of the state. Fine placer gold deposits can be located by carefully gold panning in many of the creeks and rivers within the state, but the far western section is definitely where you have the highest likelihood of success. As with most other gold occurrences in the Northeast, nearly all gold recovered will most likely be extremely fine. Carefully panning techniques should be used to ensure that fine gold particles are not lost. Large gold nuggets are not found in Massachusetts. Even small nuggets and flakes are rare, with the majority of gold being much smaller pieces. Many of the known gold occurrences are found on the eastern slopes of the Berkshire Mountains and west of the Connecticut River in Western Massachusetts. Fine gold can be panned in many of the drainages in this region. One specific area worthy of investigation is around the town of Westfield, Massachusetts, including the Westfield River that flows right through town just a few miles upstream to where it enters the Connecticut River. Continuing upstream, fine gold can also be found in the Westfield River around the towns of Russell, Huntington and Chester. Look for exposed gravel bars on inside bends of the river. Sluicing operations occurred here during the Great Depression, and evidence of past working may be seen in certain areas indicating locations that may be richer than others. The West Branch of the Westfield River near Becket will also produce fine gold. Gold can be found throughout the Deerfield River and many of its tributaries also. Anywhere around the towns of Deerfield, Shelburne Falls, Charlemont, up toward Sherman Reservoir and the town of Readsboro. Mill Brook, Maxwell Brook, and Tatro Brook just north of Charlemont will also produce some fine gold. 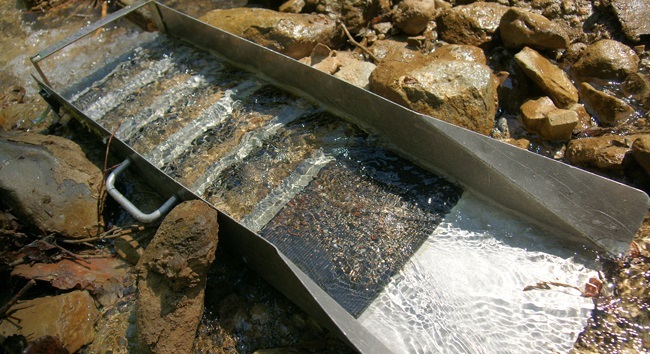 Sluicing can be productive in many streams that flow through the Berkshire Mountains. Mill River enters the Connecticut River near the town of Northampton. Further upstream it is found near the town of Leeds, Haydenville, Williamsburg. Fine gold can be found throughout this relatively short stretch of river. Another very productive area to search for gold is Couch Brook in Northwestern Massachusetts, just a few miles south of the Vermont border. It is a very small drainage that only flows for a few miles before it enters Fall River, but there is plenty of gold to be found in its waters. Fall River itself will produce some fine gold from Couch Brook down to Bernardston and further on to the confluence with the Connecticut River. Most lands in Massachusetts are privately owned, so make sure you get permission prior to doing any prospecting. Check out our U.S. Gold Map below to find more areas in New England to find gold!